Last week I was on vacation in Victoria, British Columbia. My in-laws own a lake house just north of Victoria on Vancouver Island. It’s one of the most relaxing places on Earth. I literally wake up in the morning and have only a few concerns – how much time I should spend on the dock, lying on a lounge chair, soaking up the sun, staring at the water and enjoying my favorite summer novel. Sometimes I throw a hike and dinner prep into the mix. Additionally, I was so excited when Emily Giffin came out with a new novel just in time for my vacay – “The One and Only”. Needless to say this novel is the perfect light read like her other books “Something Borrowed, Something Blue” and “Love the One Your With”. 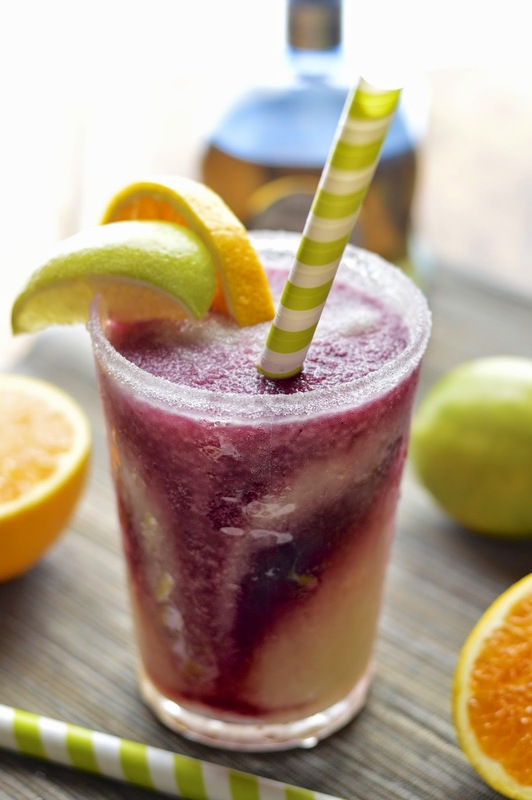 At one point in the book, the main character Shea visits one of her favorite restaurants in Texas and orders a frosty margarita laced with fruity sangria! What?! Does that not sound so amazing? I could just envision the ruby sangria swirling it’s way through the tart lime cocktail. Why had I never heard of this divine cocktail before? 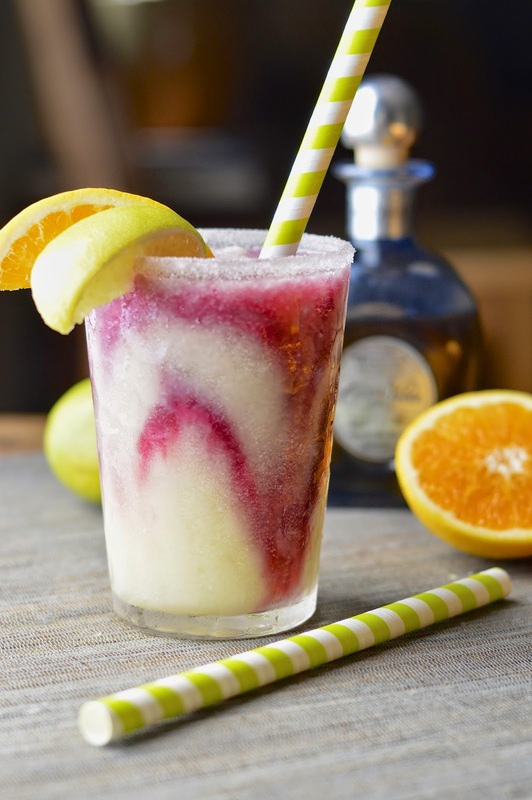 Therefore when Casa Noble asked me to create a margarita for their #tequiladay challenge, I knew exactly what I was making. 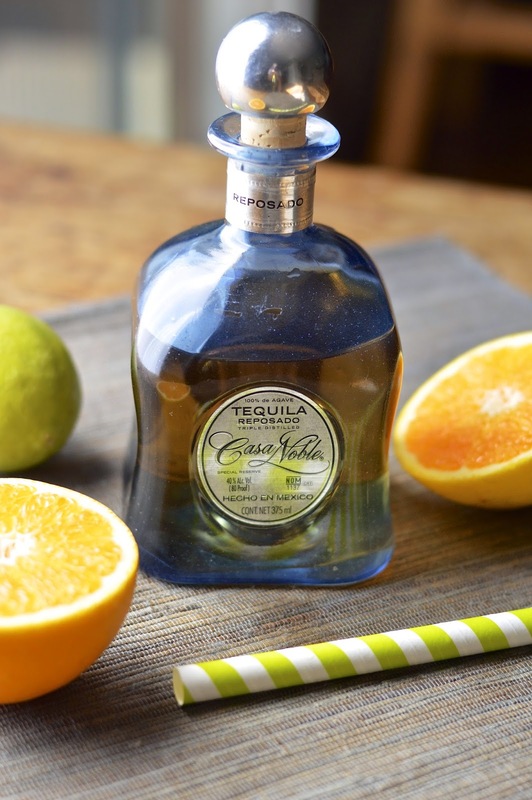 I also knew that this margarita would be extra special with the addition of Casa Noble Reposado tequila and it’s beautiful notes of citrus, butter, vanilla and chocolate. It’s oaky tones are derived from aging in lightly charred French White Oak and gently round out this exceptional liquor. 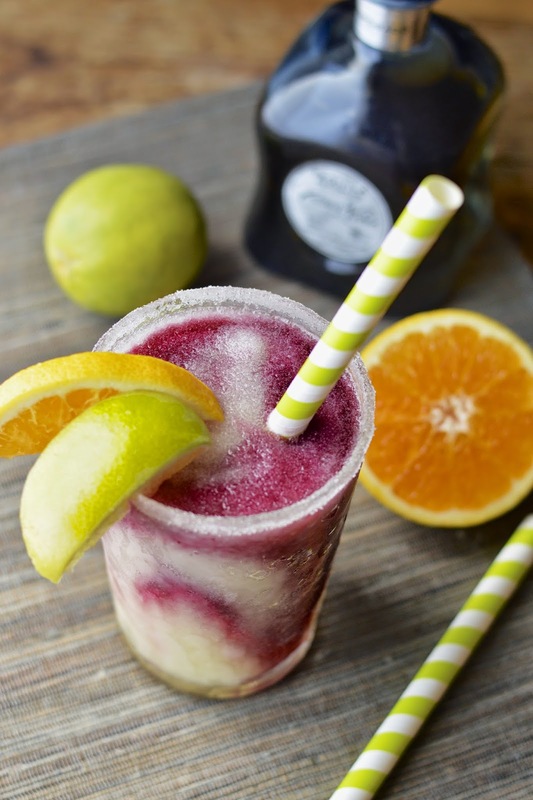 I used a beautiful store bought sangria from Whole Foods and a basic margarita recipe. I think the pictures speak for themselves – frosty, fruity, tart with a boozy finish. Summer and margaritas is truly the perfect pair.